John focuses on post-grant matters (e.g., IPRs, CBMs, PGRs), and on the preparation and prosecution of patent applications at the U.S. Patent and Trademark Office. His technological expertise covers a variety of areas, including electrical engineering, communications, biomedical devices, computer science, business methods, financial software, optics, imaging, signal processing, wireless technologies, instrumentation design and control, and medical devices. 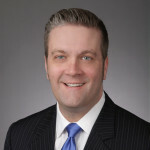 In addition, John has experience in large complex multi-party litigation matters at both the district court and appellate court levels in a number of technology areas including electronics, software and business methods, and pharmaceuticals (e.g., Hatch-Waxman litigation). His litigation experience includes pre-filing investigations, infringement analyses, electronic discovery management, fact and expert witness preparation, motion practice, and settlement negotiation. Prior to joining Banner & Witcoff, John worked as an attorney at a Washington, D.C.-based patent law firm. He also has experience as a patent examiner at the U.S. Patent and Trademark Office. At the USPTO, John examined patent applications in the area of display device technology. John earned his B.S. in electrical engineering and J.D. from The George Washington University. John is an attorney in Banner & Witcoff’s Washington, D.C. office.